Brown, 48, was elected at a special convention in Bangor. One of five nominees, Brown was chosen by clergy and lay delegates on the third ballot. He received 57 votes in the clergy order and 84 votes in the lay order. Fifty clergy votes and 82 lay votes were needed on that ballot for an election. The Anglican Communion Office told Episcopal News Service on Fab. 12 that it had no comment Brown’s election. After the election, the Rev. Maria Hoecker, rector of St. Columba’s in Boothbay Harbor and president of the Diocese of Maine’s Standing Committee, said “We have been blessed by the Holy Spirit today with the election of Thomas Brown and the gifts he will bring as our next bishop,” according to a news release. Brown received his Master of Divinity from the Church Divinity School of the Pacific, an Episcopal Church seminary in Berkeley, California. 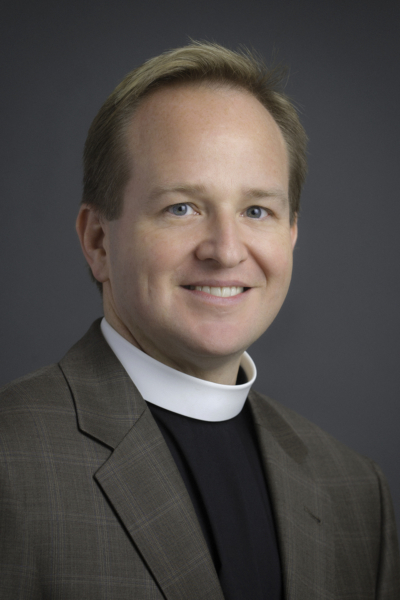 He has served as rector of St. Michael Episcopal Church in Brattleboro, Vermont, and as the director of alumni and church relations at CDSP. Bishop-elect Brown has held many leadership positions in The Episcopal Church and in the Diocese of Massachusetts, and is currently chair of the Church Pension Fund’s board of trustees. Editor’s note: This story was updated Feb. 12 to add information about the number of votes needed for an election and a response from the Anglican Communion Office.